Musicals as an art-form have been well-established in Germany for many years. They have, however, been underestimated in general, although they enjoy the largest audiences and generate the greatest ticket-sales of any of the performing arts. 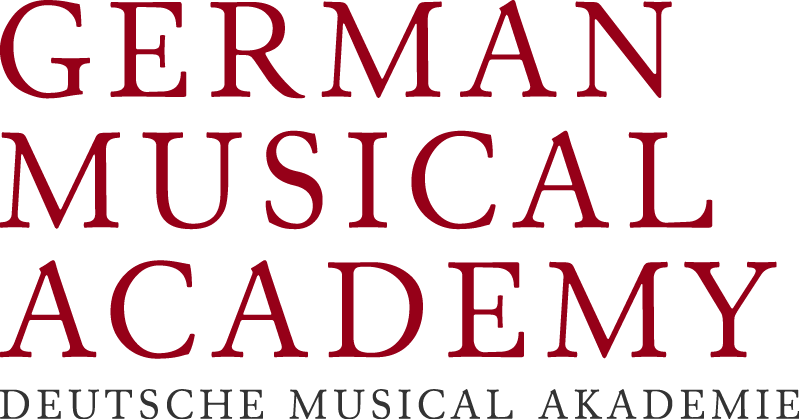 The German Musical Academy has been formed to provide a platform, as an institution and interest group, which is open to all professionals working in musical theater. The Academy’s aim is to promote greater recognition of this art-form in the media and the public at large. We wish to create a strong network, which supports all our members and professionals, and which sends out new impulses to the German-speaking musical world. In addition to supporting authors and other creators, our aims include education, the creation of a space for artistic exchange, and the advancement of excellence in all areas of musical theater. Being a non-profit organization, the Academy is dependant on the support of its numerous members and patrons. We are only as strong as the number of those who through their membership are actively involved. As an industry association, we wish to offer members an artistic home.